Photo: Cows in field along the South Fork Purgatoire River. Eastern Mojave Vegetation Cows in field along the South Fork Purgatoire River. Bosque del Oso Road, Las Animas County, Colorado: 60000. Field Notes: Tuesday, April 26th. 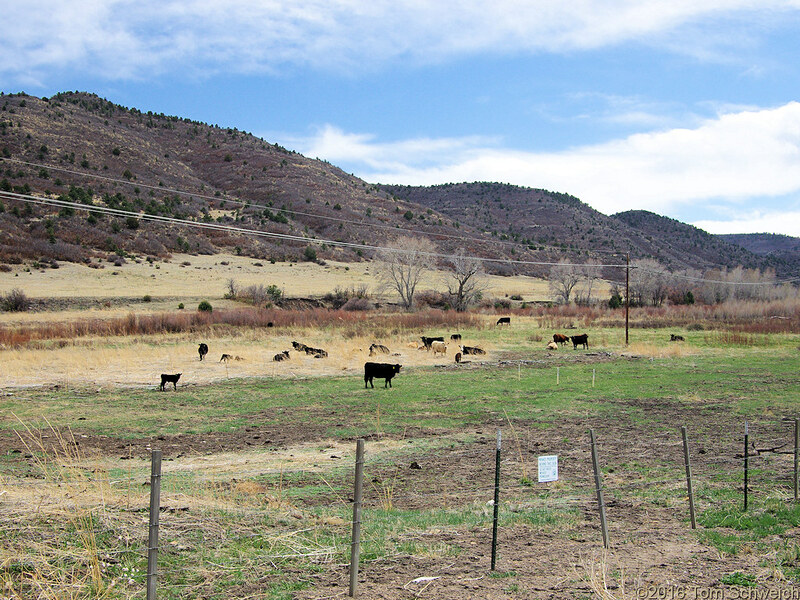 Other photos about Geography - Colorado or Las Animas County.